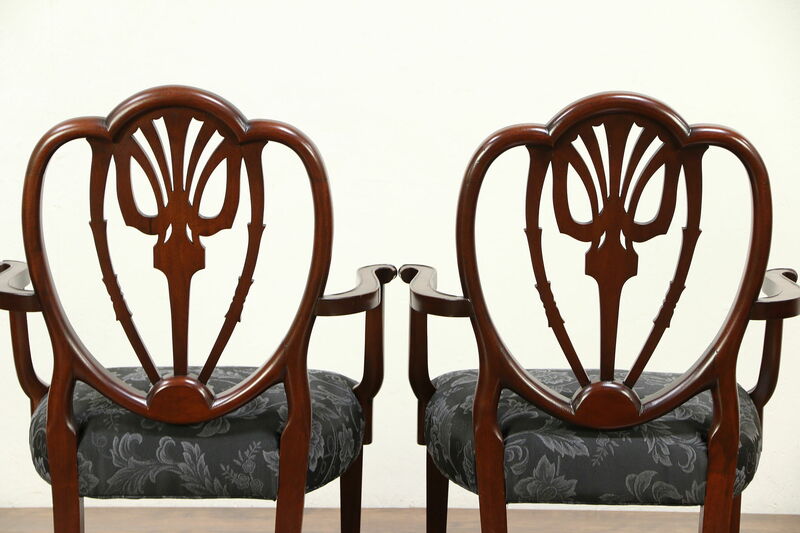 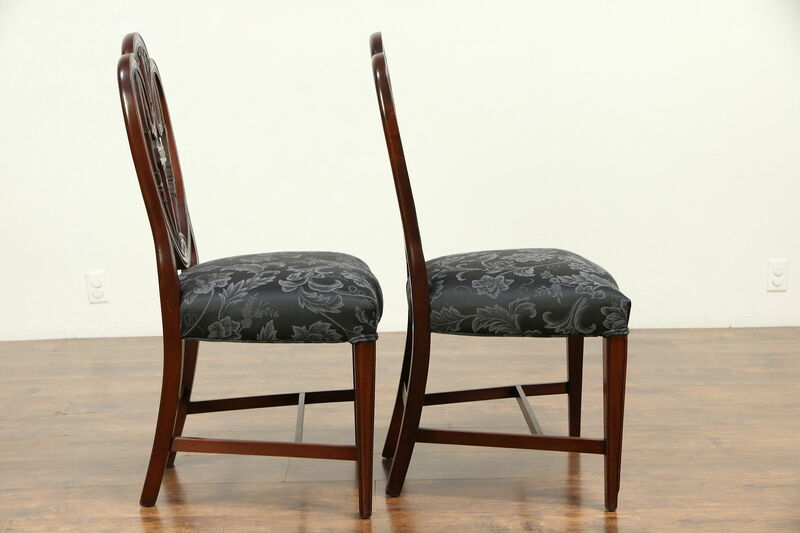 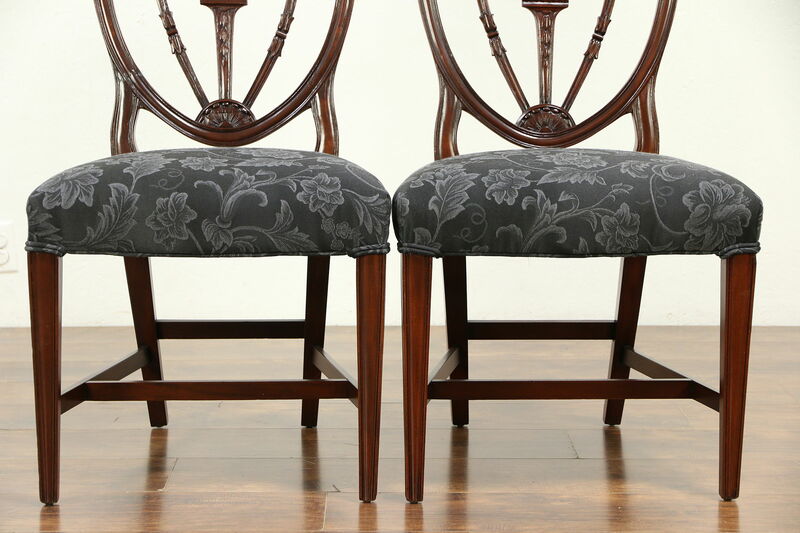 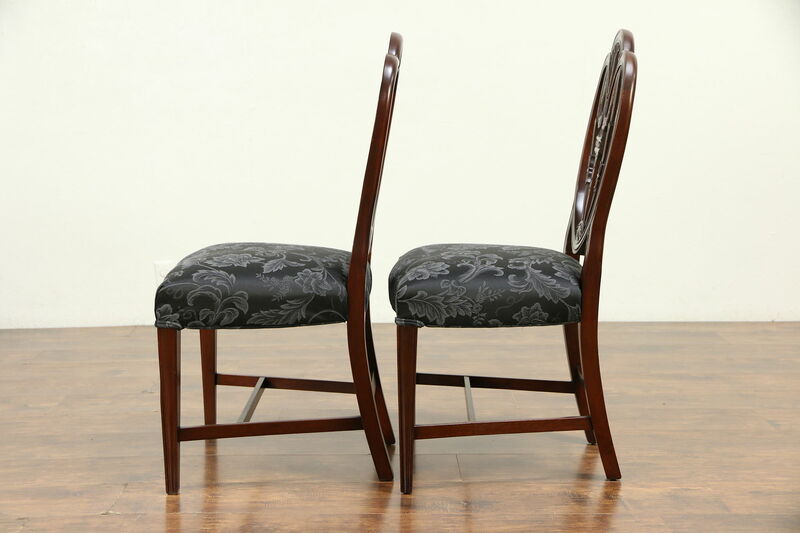 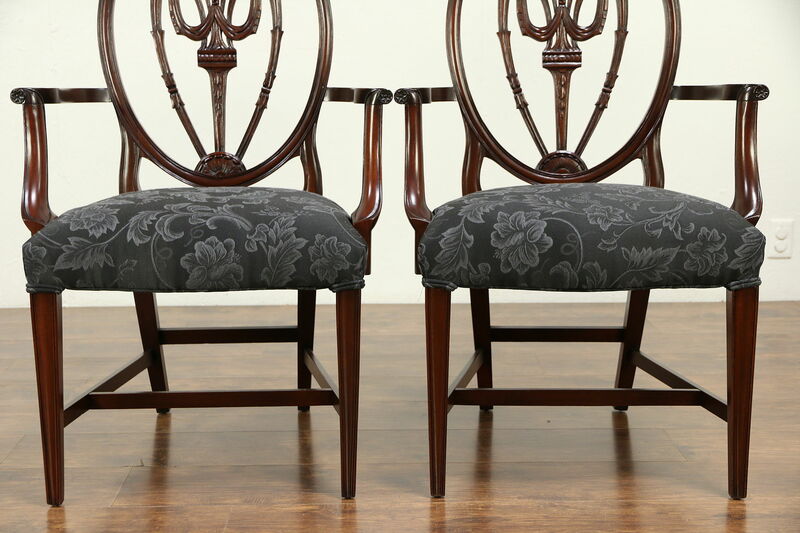 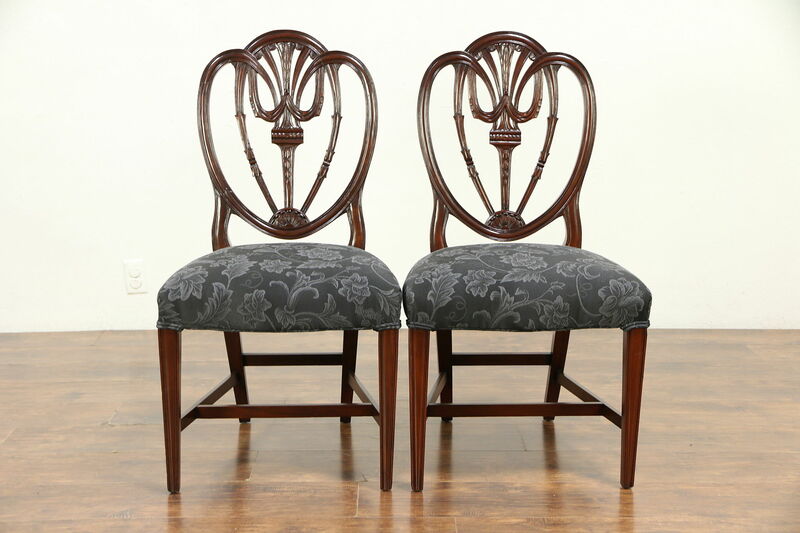 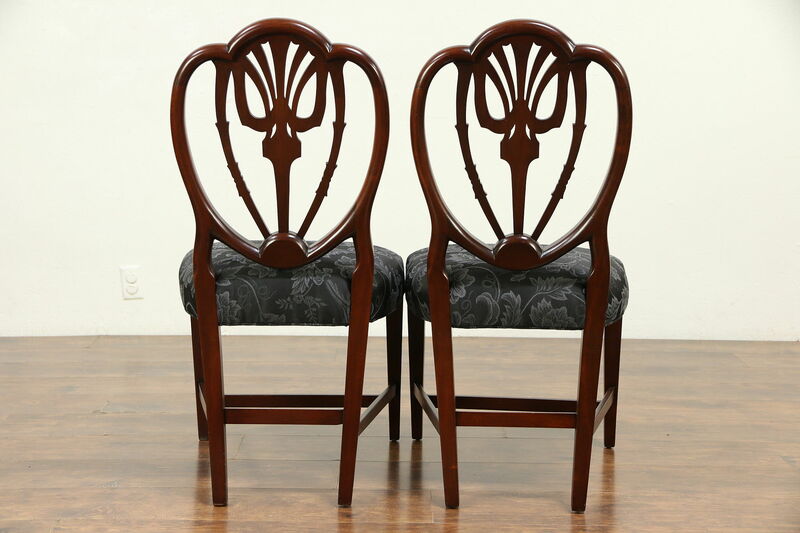 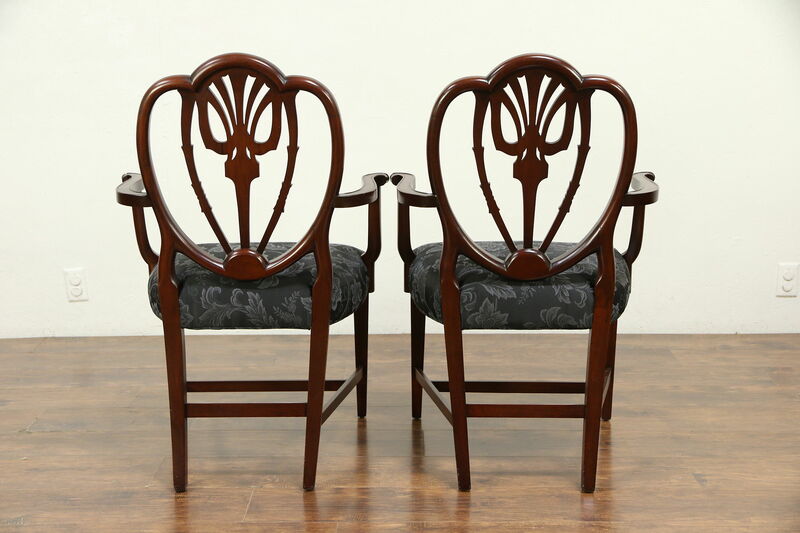 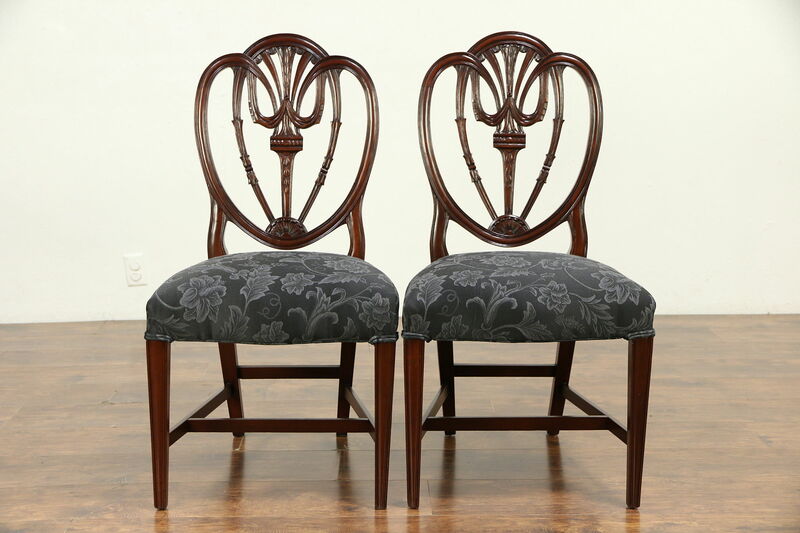 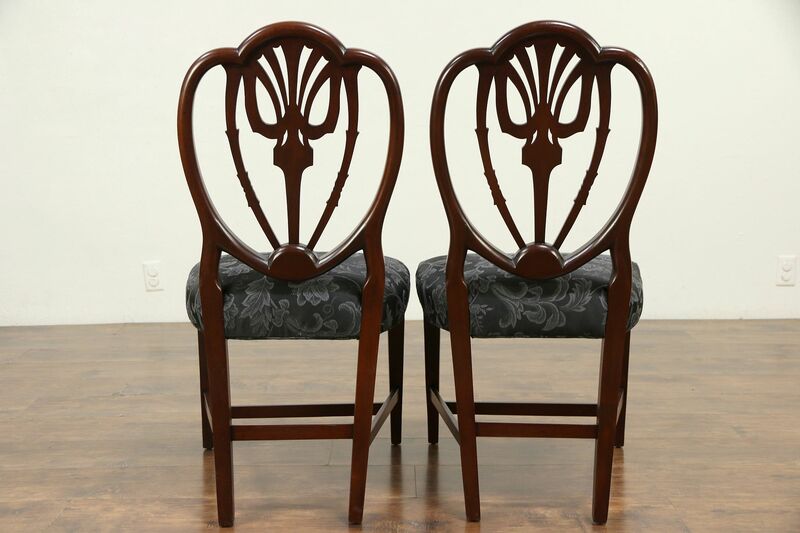 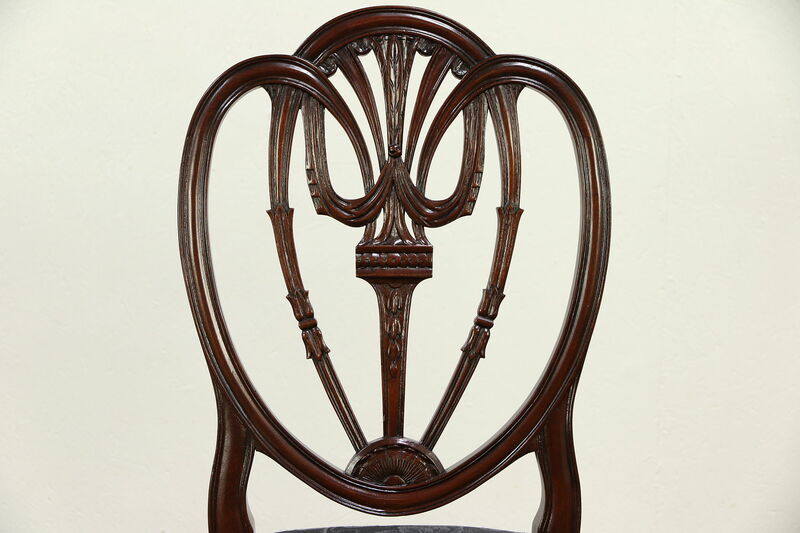 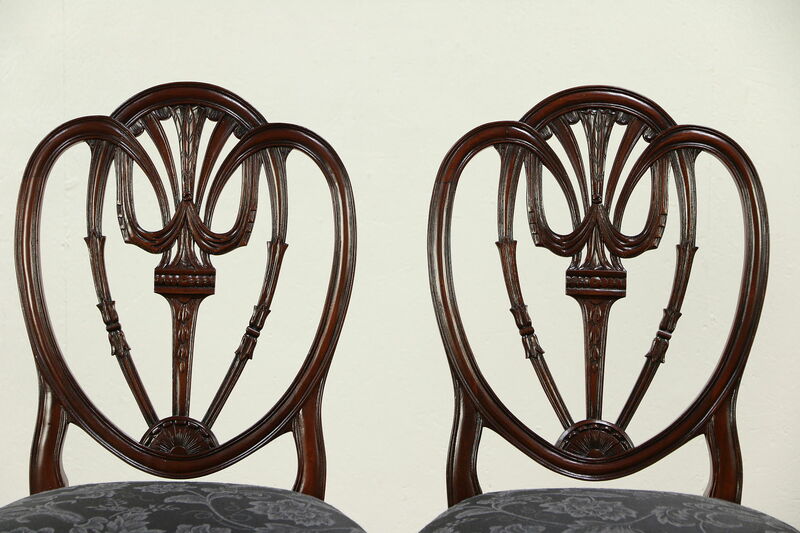 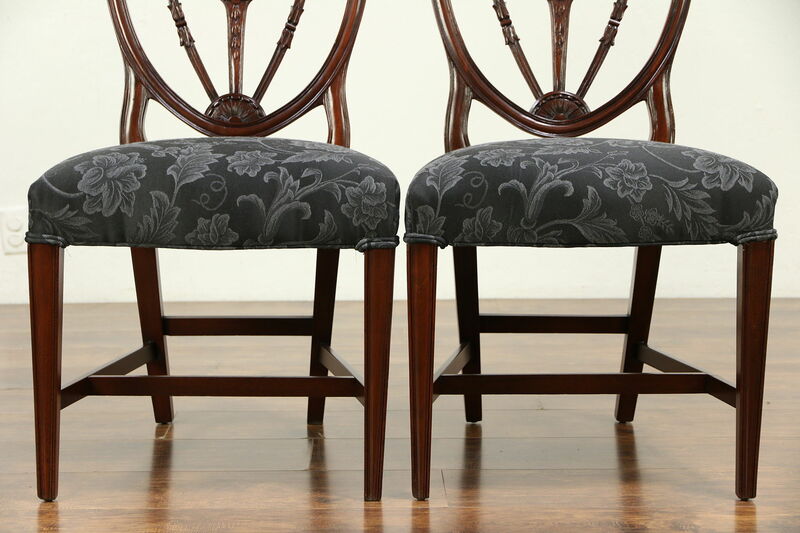 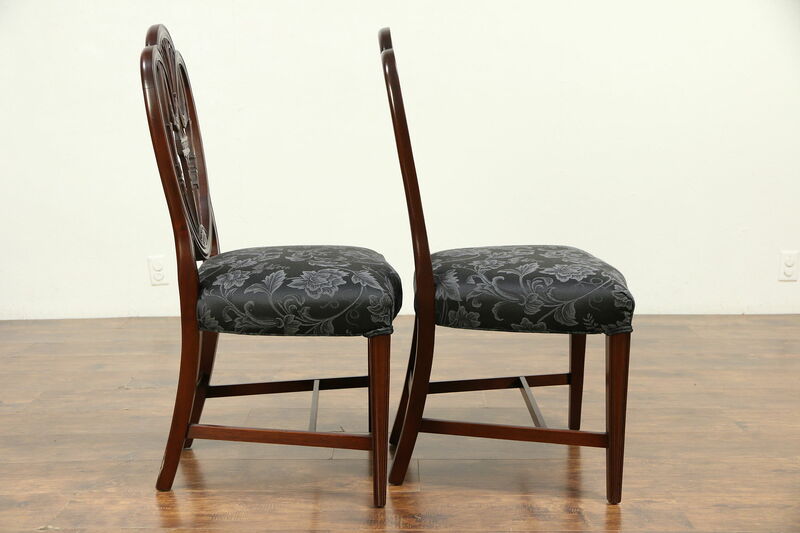 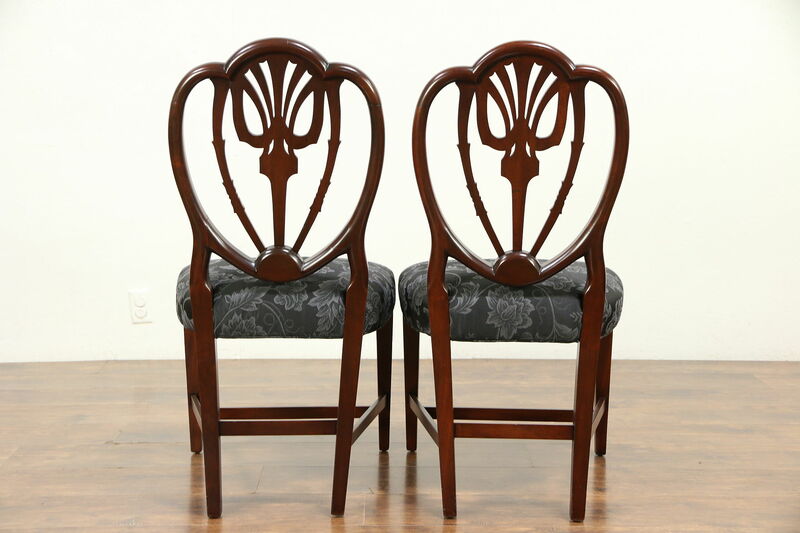 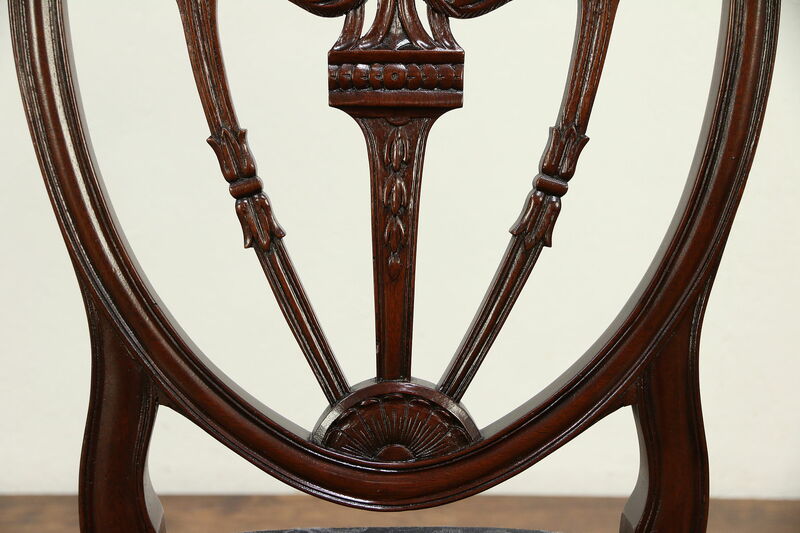 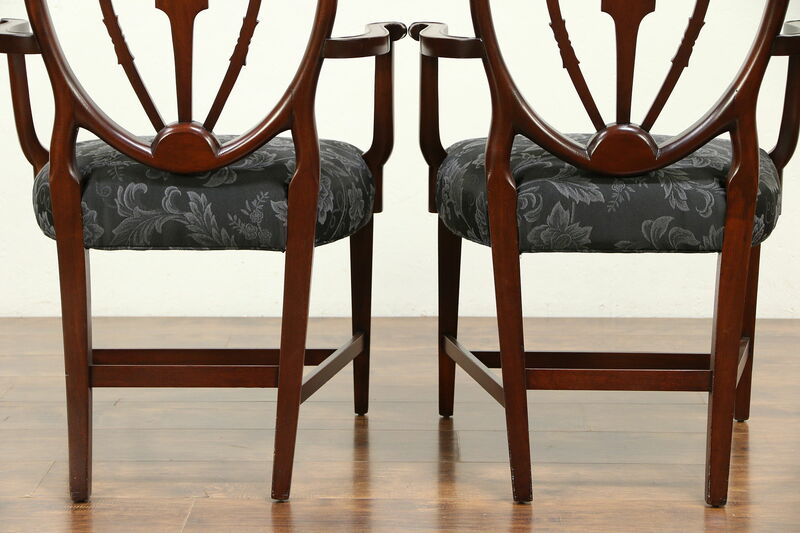 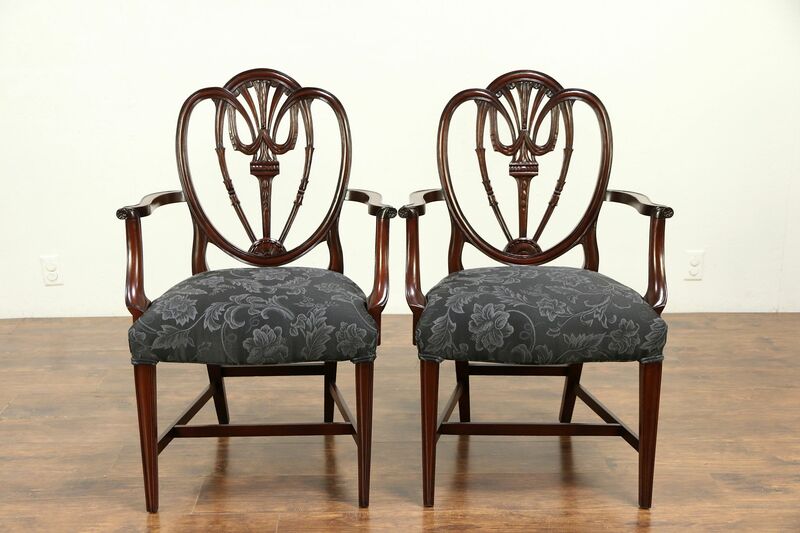 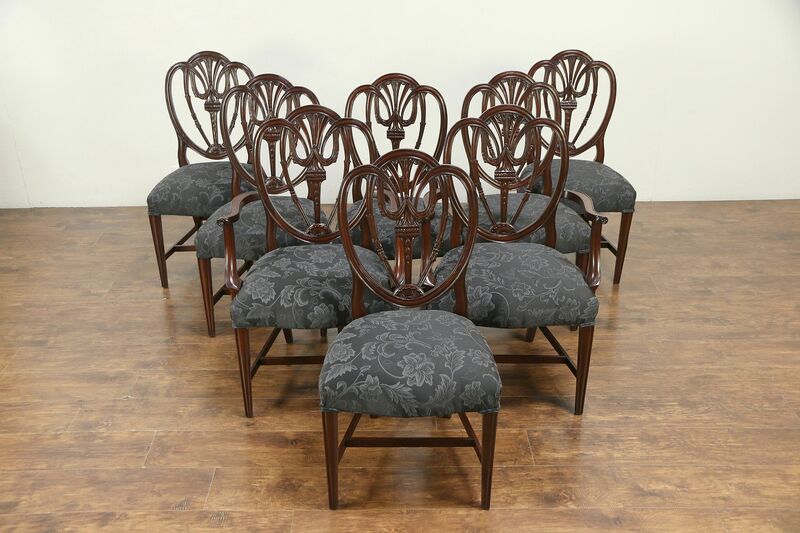 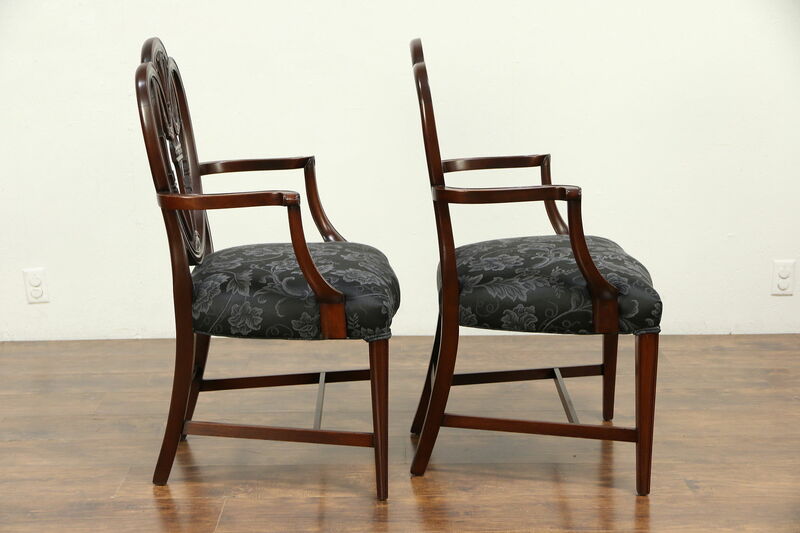 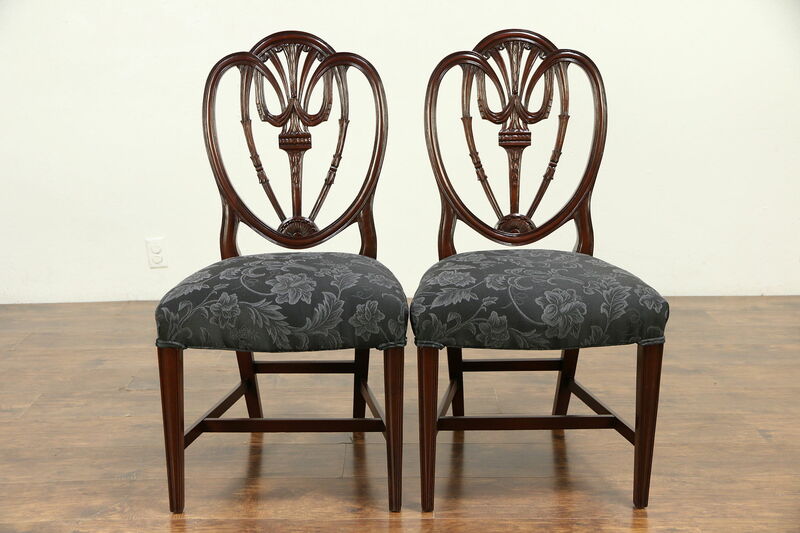 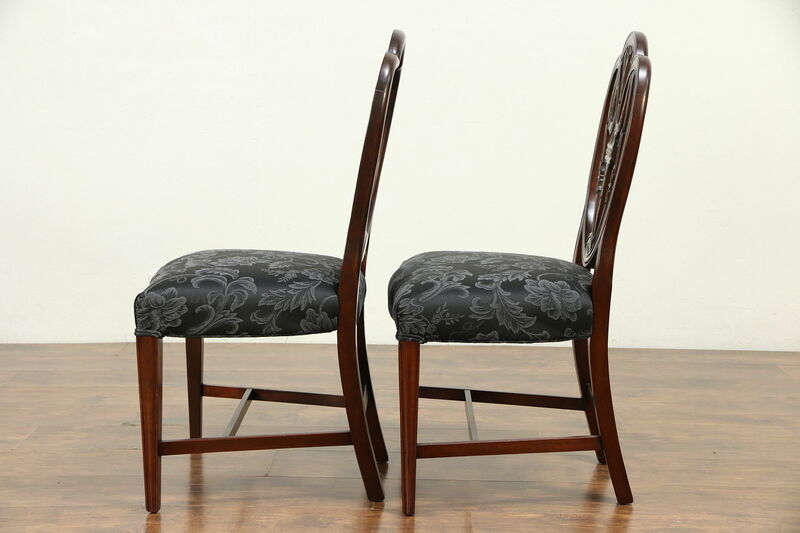 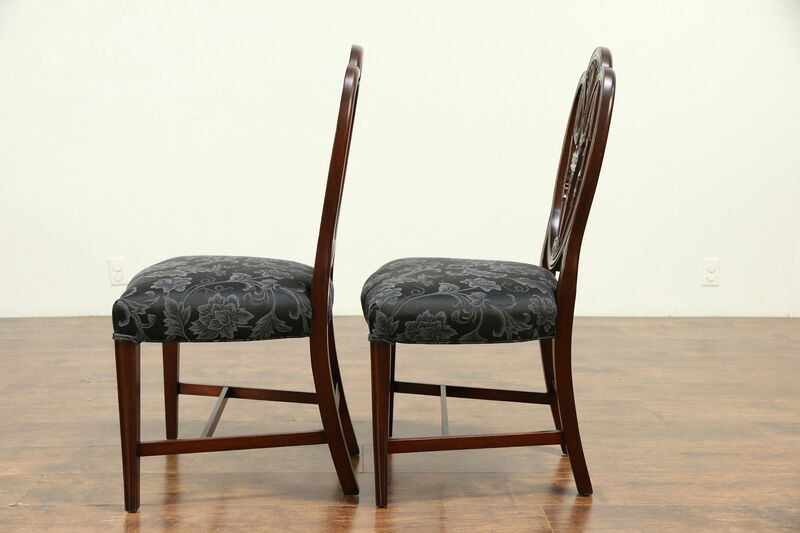 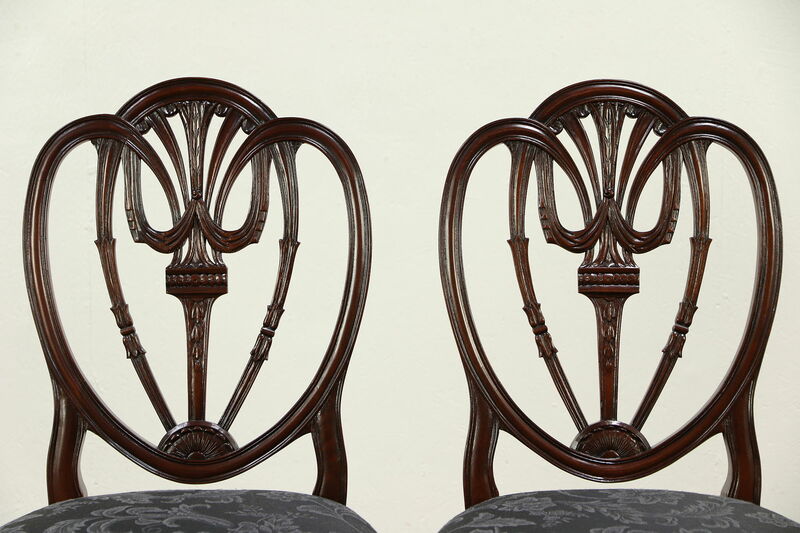 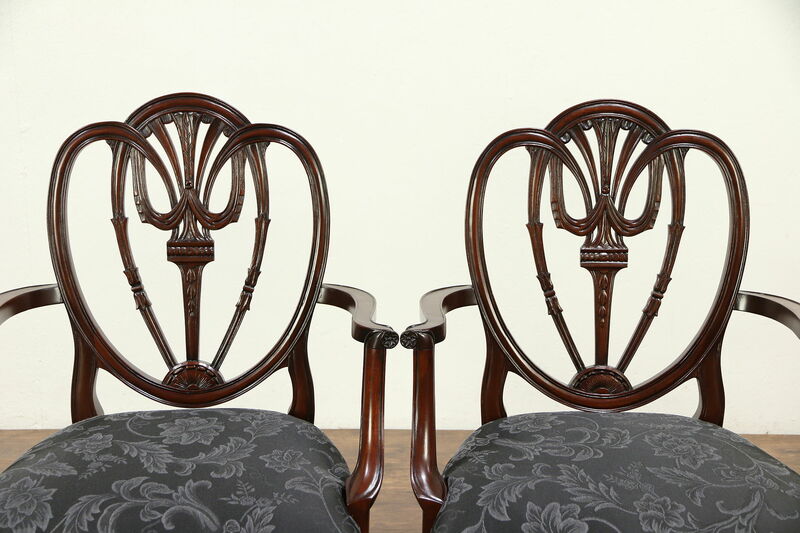 A very fine set of eight traditional shield back dining chairs were richly carved of solid mahogany about 1930. 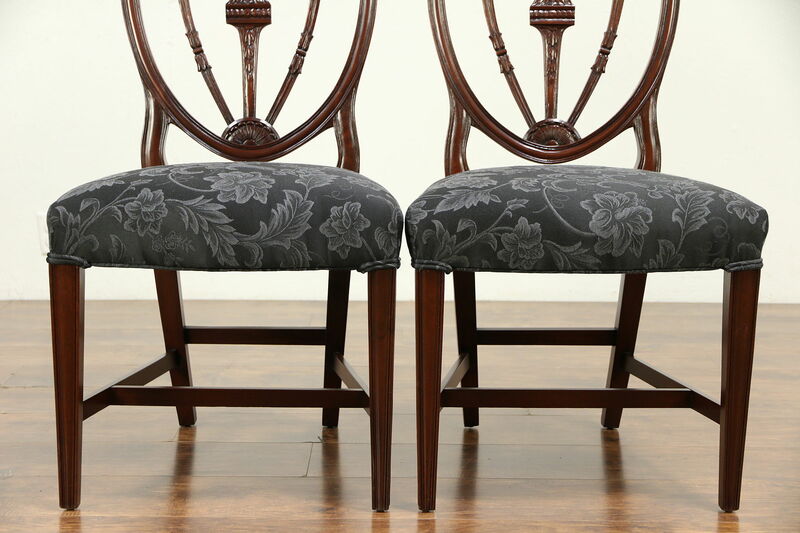 Comfortable seats are newly upholstered, the maker's signature is lost. 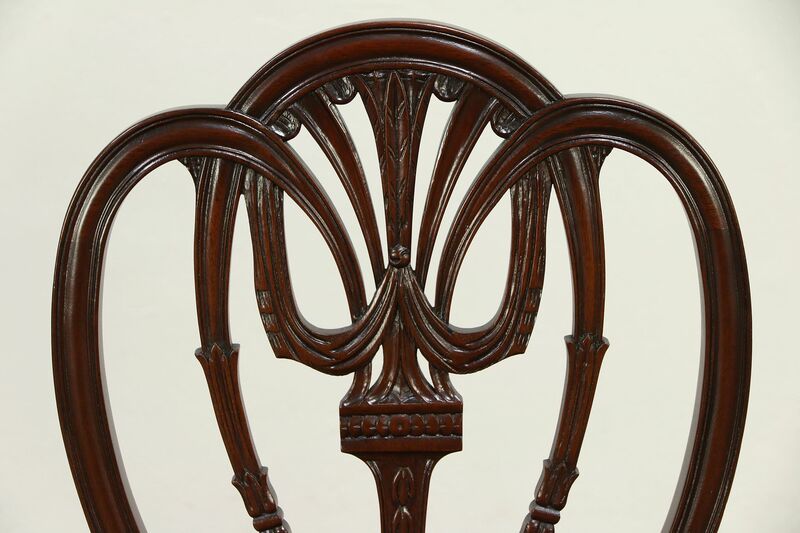 The restored finish is in excellent condition, preserving mars and shrinkage separations from age and various restorations over the decades for a little antique character, see photos. 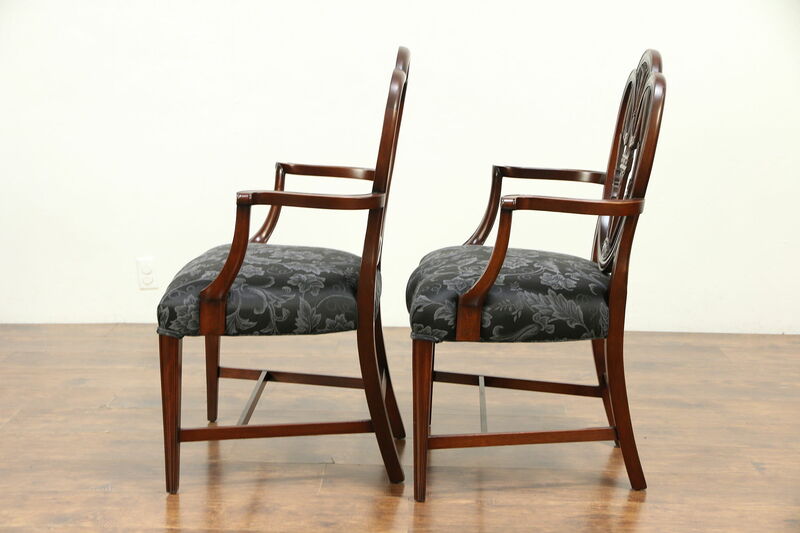 Frames are reglued to serve another generation on this American made vintage furniture. 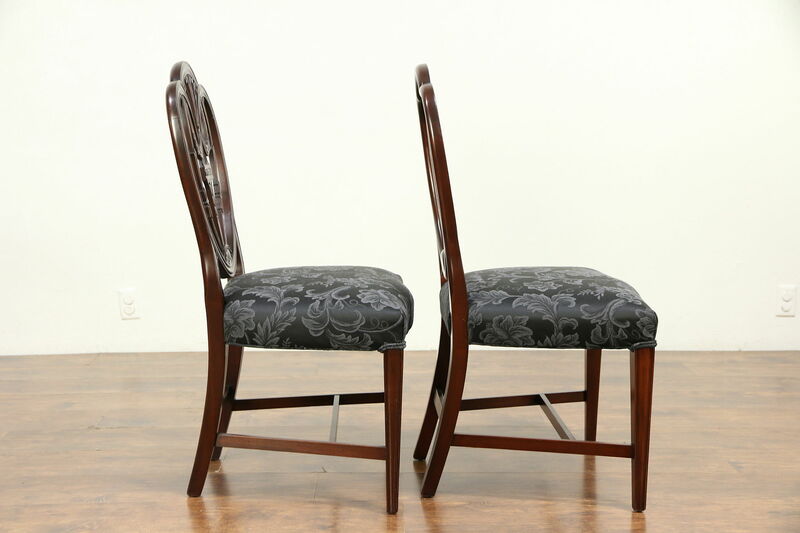 Two arm chairs measure 26" wide, 23" deep, 39 1/2" tall and seats are 19" high, six side chairs are 21" wide and 22" deep. 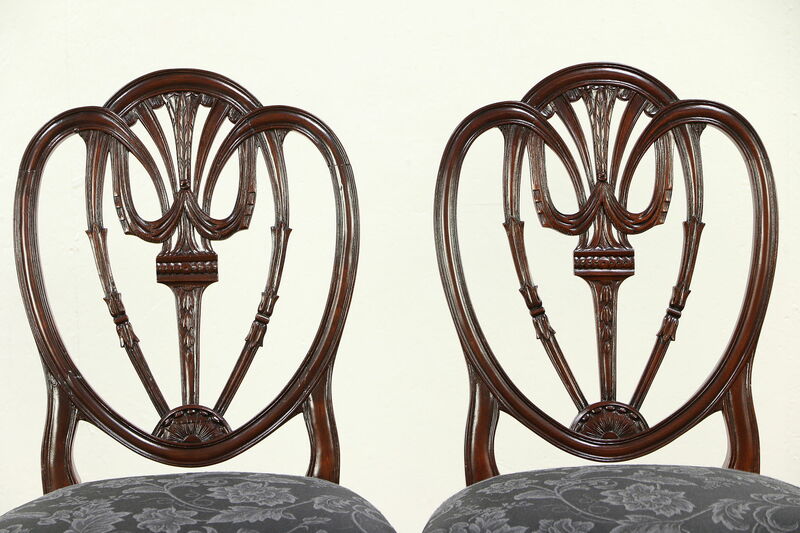 Please view 30 photos at full screen size for best detail.